Looking for a selection of used E-Class cars for under $40,000? Then check out the inventory at RBM of Alpharetta! We have an excellent selection of pre-owned, Certified Pre-Owned, and CarFax 1Owner vehicles just waiting for you to bring them home. You can have all the elegance, interior refinement, and high-performance you expect from Mercedes-Benz, without the hefty price tag of buying a brand new vehicle. 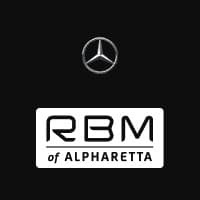 Check out our selection of used E-Class cars priced at or below $40,000, then head to RBM of Alpharetta for a test drive! The E-Class delivers modern luxury and thrilling performance, never settling for second best. Savvy shoppers know that the moment a new vehicle rolls off the lot it depreciates quickly. When you choose a Certified Pre-Owned or previously-owned E-Class vehicle, you’re letting the previous owner take on the burden of depreciation. You’re not paying a premium for newness, but instead taking control of a vehicle that has proven itself road-worthy and is ready to head off on new adventures. There’s a lot to consider when it comes to buying a used car. Previously owned vehicles are exactly that—they’ve had at least one owner before you. With a CarFax vehicle history report, however, you’re sure to know all about your new-to-you E-Class car, how many owners, any crash history, etc. In fact, many of our used E-Class cars have received coveted CarFax 1Owner status, meaning they have only had one previous owner. Additionally, we offer Certified Pre-Owned E-Class cars, which meet strict Mercedes-Benz standards to receive CPO status. Some of the requirements include being a recent model year, having no more than a certain amount of miles on it, and passing a rigorous multi-point inspection. There are a wealth of benefits to choosing a Certified Pre-Owned E-Class, such as the fact that most CPO vehicles come with an extended warranty for extra peace of mind. Once you’ve taken a look at our inventory online, schedule a test drive and get behind the wheel of your very own used E-Class vehicle. Feel free to contact us with any questions; we look forward to helping you find the used E-Class that fits your $40,000 or less budget!